2014 VW Golf Estate Bluemotion review | What Car? For the first time ever, you can now buy a Bluemotion version of the brilliant VW Golf Estate. Like the Bluemotion version of the Golf hatchback, the estate gets a 108bhp 1.6-litre diesel and six-speed manual gearbox. Smaller wheels, aerodynamic styling tweaks and lowered suspension mean that CO2 emissions are reduced to just 87g/km and official fuel economy is 85.6mpg. So far, so good, but this new version of our favourite estate car costs £280 more than the 1.6 TDI SE model, despite coming with less standard equipment. So, do the lower emissions and fuel consumption make this Golf Estate worth considering, or is it just a false economy? 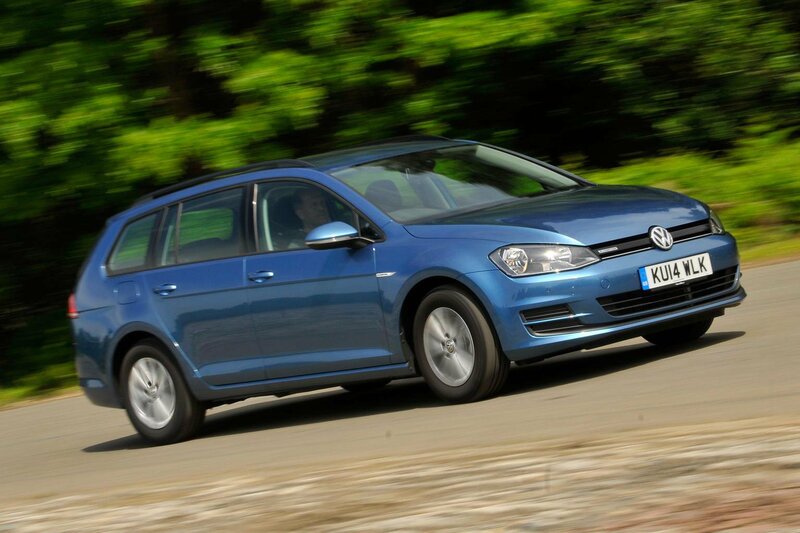 What’s the 2014 VW Golf Estate Bluemotion like to drive? In many ways, the Bluemotion’s engine and gearbox combination makes the most sense out of all the Golf Estate models. Its 1.6-litre diesel is smooth and pulls strongly from low revs. Granted, the 104bhp 1.6 TDI engine in other Golf Estates has just as much pulling power, so the Bluemotion doesn't feel noticeably faster. However, it does get a smoother six-speed gearbox, rather than the notchy five-speeder. What’s more, the addition of a tall sixth gear over the standard 1.6 TDI means motorway journeys are that bit more relaxing. This also improves refinement when cruising, not to mention fuel economy. Ride comfort feels more or less the same as in any other Golf. The suspension is lower than on the standard models, but the slightly stiffer ride is offset by chunky 15-inch tyres. Granted, it’s marginally less composed over patchy surfaces and when rounding off big ruts, but it’s still very comfortable. The steering is nicely weighted and accurate, and the Bluemotion estate is genuinely good to drive along a winding back road. If anything, the lower suspension is actually a benefit here, because it reduces body roll through corners. What’s the 2014 VW Golf Estate Bluemotion like inside? You don’t pay for the boost in fuel economy with cabin space or quality. There’s plenty of room for driver and passenger up front, not to mention space for two six-footers in the back. 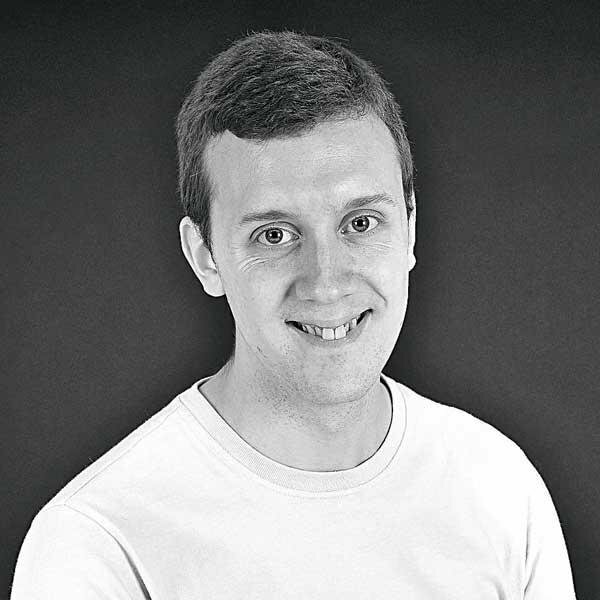 All-round visibility is excellent, and there’s a good range of adjustment in the steering wheel and driver’s seat. Under the rear hatch you'll find a huge 605-litre boot, with a height-adjustable floor to split the large square space in two, and a handle in the boot to fold the rear seats flat in seconds. Unfortunately, this version of the Golf Estate isn’t especially well equipped considering its £22,000 price. Yes, you get Bluetooth, a DAB radio, air-conditioning, alloy wheels and cruise control, but it doesn’t have the useful extras that come with our favourite SE trim. If you want lumbar support, a leather multi-function steering wheel, automatic lights and wipers or even an alarm, you have to spend more money to add them as options. There are also some features that simply aren’t available. Xenon headlights, climate control, keyless entry and lane-assist technology are optional on most other Golfs, but you can’t add them to the Bluemotion. If you're after a seriously cheap company car with a massive boot, we'd suggest looking at the Skoda Octavia Estate Greenline instead. That's because the Skoda demands you sacrifice even less of your monthly salary in company car tax, yet comes with more standard kit, including climate control, rear parking sensors and adjustable lumbar support. The Golf gets none of these things unless you raid the options list, and even then, your choices are limited. Alternatively, if you're content with a slightly higher monthly tax bill (or are buying privately), the VW Golf Estate in 1.6 TDI SE form is an even better choice. It comes with more standard equipment, including safety features that qualify it for cheaper insurance than the Golf Bluemotion. So, if you want the most tax-friendly Golf Estate, you can make a case for the Bluemotion, but the slightly less efficient 1.6 TDI 105 SE is the better buy.